National Home Service Contract Providers offer advice to homeowners on maintenance tips to prevent fires. Lenexa, KS — Whether you are springing forward or falling back, it’s a good time for homeowners to replace the batteries in their smoke detectors. The members of the nonprofit, National Home Service Contract Association (NHSCA) would also like to remind homeowners that it’s also the perfect time to perform some regular maintenance on appliances and systems to help prevent a devastating home fire. Home service contracts cover service, repair or replacement of the major systems and appliances in your home that fail due to normal wear and tear. Heating and electrical systems as well as appliances including oven/range, water heater, kitchen refrigerator, dishwasher, garbage disposal, trash compactor and specialty items such as built-in bathtub whirlpool, and central vacuum systems are items generally covered in a home service contract. Optional coverage is also available, and varies by state. Regular maintenance to these systems is important to keep them running and operating efficiently so the NHSCA offers the following tips to homeowners to help them keep their home and families safe and comfortable as cold weather approaches. Your furnace should be cleaned and inspected annually by a qualified HVAC technician. If the first time you turn the furnace on in the season you perceive a dusty or even burnt smell, there is likely no need for concern. The majority of the time it’s just burning the dust out of the combustion chamber due to lack of use. Changing your furnace air filter may help, but if the odor persists, call a technician. The older the furnace, the more important this service is. Newer gas furnaces are equipped with many features that shut the furnace off when a problem is detected. If you think you are saving money by closing vents in rooms not utilized during the winter, think again. In reality blocking vents actually causes the system to work harder. If you close off more than 20% of the registers in your house it can cause high resistance and unnecessary heat build up in the furnace. Change your furnace filter at least once every three months. If you plan to have any remodeling work done in your home, be sure to change the filter once it’s completed as dust, dry wall debris and other byproducts of such work can clog the filter much more quickly. 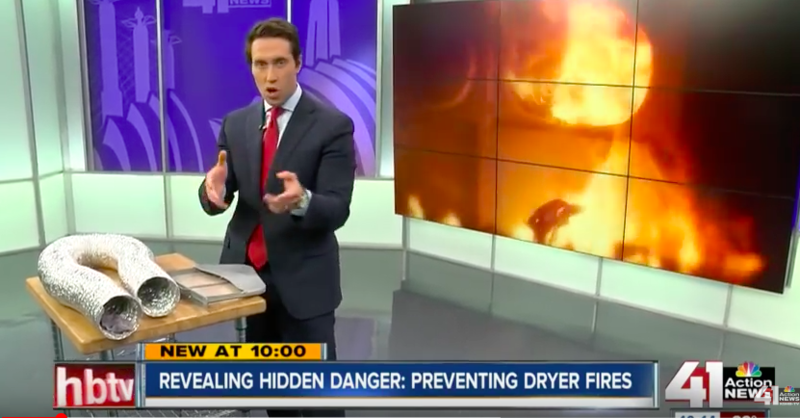 According to the National Fire Protection Association clothes dryers and washing machines were involved in one out of every 22 home structure fires reported to U.S. fire departments in 2006-2010. Most of those involved dryers, and many of them were due to buildup of dust and lint in the clothes dryer exhaust duct. Make sure to not only clean out the lint trap with each use, but also occasionally clean the dryer exhaust duct and behind/under the appliance as well. The National Fire Protection Association recommends having a licensed electrician review your home every 10 years. Small upgrades and simple safety checks, like making sure outdoor grounds and connections, are secure can prevent larger problems. It is also a good idea to do a visual inspection of anything electrical to be sure there are no frayed cords or wires and any exposed wiring. Look in the attic and crawl spaces for wiring which appears to have been damaged by pests or insects. Some old wiring is insulated with material insects eat or chew on, and squirrels or other rodents will often chew the insulation off. Warning signs that may indicate a potential problem with your homes electrical system include: frequently blown fuses or tripped circuit breakers; dim or flickering lights; overheated plugs, cords, or switches; and bulbs that wear out too fast. Testing your fire detectors to make sure they work and taking the time to refresh the batteries can make the difference between saving the life of a family member. Take the time to check allof the detectors in the home. If you feel that specific rooms that do not have a fire detector but you feel may need one, now is a good time to add them. Never use an appliance with a worn or frayed cord that can send heat onto combustible surfaces like floors, curtains, and rugs which can start a fire. The most common problem with water heaters is failure that causes flooding. But water heaters can also cause house fires. Take the time to inspect your water heater at least once a year. Remove paper, accumulated dust or other combustibles from the heater enclosure. Many experts suggest keeping boxes and other storage items at least three feet away from the furnace or water heater. If you live in an area prone to earthquakes, like California, water heaters must be properly strapped so that they don’t fall over during an earthquake. Water heaters weigh several hundred pounds when full, so a proper seismic strapping kit must be installed. Remember when it is time to change the clocks, it’s also a good time to safety check your home. For more helpful information on home maintenance visit the NHSCA website, www.homeservicecontratc.org and see all our helpful tips and short videos on caring for you your home.